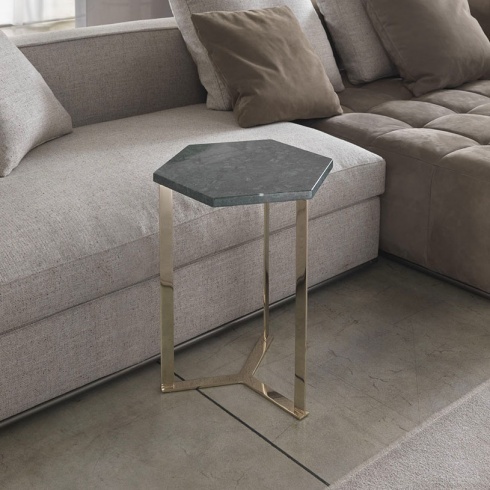 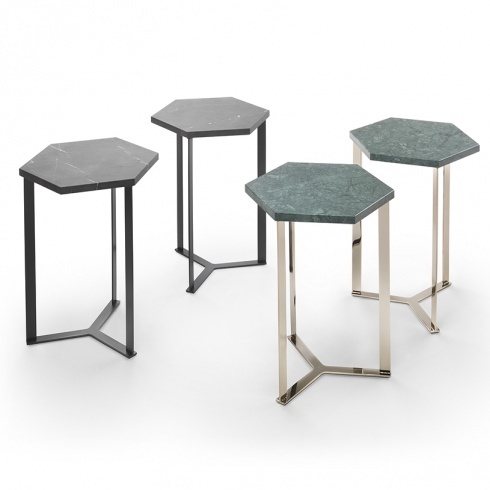 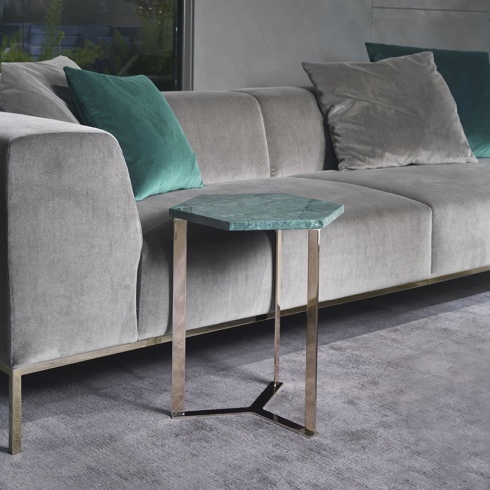 The Hex side table is a stylish and contemporary piece which boasts a unique hexagonal shape which is supported by sleek, dynamic metal legs. 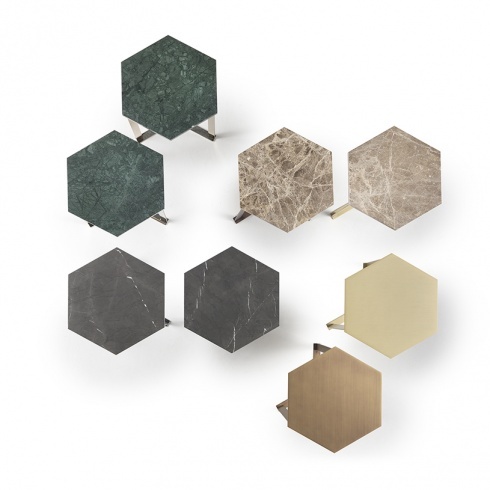 The marble top adds timeless elegance which is offset by the modern, contemporary design. Made in Italy by a skilled team of craftsman.